The Pekojan Urban Village, Tambora, West Jakarta, arranged a water channel in RW 05 by demolishing illegal buildings standing on the channel, Monday (10/15).
" We control six buildings on the channel as long as 300 meters. 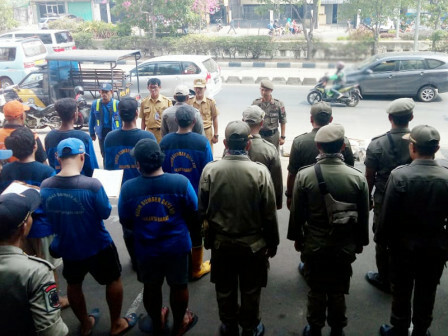 It is done to follow up the locals' report"
Pekojan Urban Village Head, Tri Prasetio Utomo stated that it involved personnel of Satpol PP, urban village PPSU, freelancer under West Jakarta Water Resources Sub-dept. "We control six buildings on the channel as long as 300 meters. It is done to follow up the locals' report," he stated. It went smoothly without protest, as a warning letter had been sent to the building owner prior to demolishment. After this, the channel would be dredged in a bid to anticipate inundation when it rains. "After all is done, we will do monitoring to prevent illegal buildin g on the channel," he told.